• Tunneling and mining. New Austrian Tunnel Method (NATM). 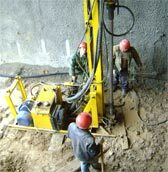 consuming drilling with casing systems in unconsolidated or cohesive soil. 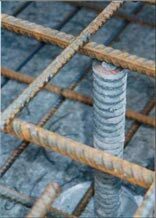 CMP Hollow bar are used as Rock bolts & Spiles. • Slope stabilization of excavations for road and railway construction, tunnel portals. cuttings, and offers a rapid and economical alternative to the traditional methods. 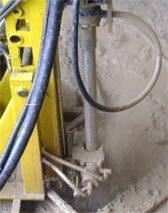 CMP Hollow bar are used as Soil Nails & Ground Anchors. It is used for increasing of foundation capacity or settlement control on existing structures.